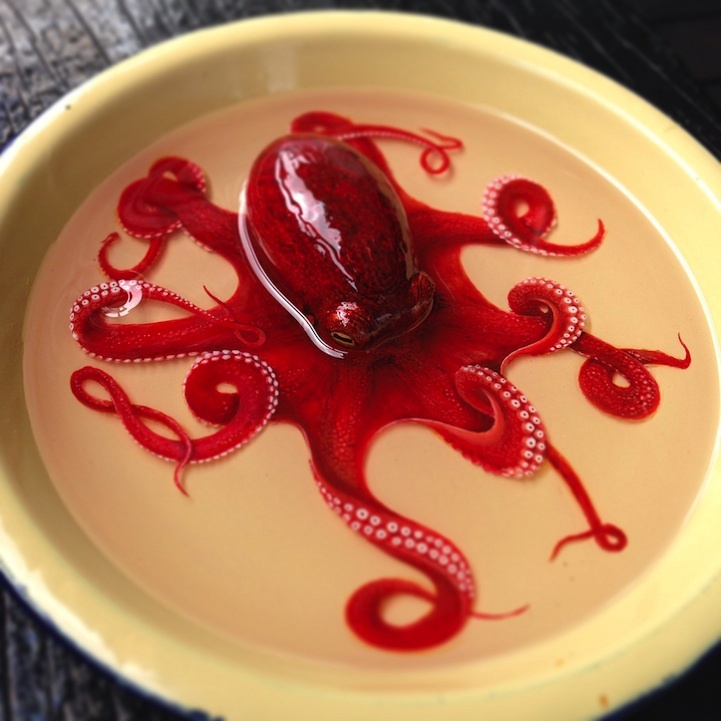 A tipster pointed us to a new piece by Keng Lye, who is well known for his incredible illusory bowls. Each of these pieces is created by hand over many weeks by adding very small layers of acrylic and resin to the original base. In order to create the 3-D effect in the legs of the octopus, Keng has to make many different passes over the same space. Exercising that amount of fine control with a brush in such a confined space for long periods of time is not only an artistic feat, but a physical one as well. We’ll continue to keep an eye on Keng’s new work as this method is refined.